EGGS is one of the world’s most knowledgeable design and innovation consultancies when it comes to creating services, applications and products for ocean industries. We collaborate with some of the leading companies such as Kongsberg, AKVA group, Rolls-Royce Marine, DNV GL and Ulstein. We also unite with exciting start-ups like Blueye Robotics, Ecotone and Eulume. We can provide intuitive solutions that enable your company to embrace the complexities listed above. BARTEC PIXAVI's Impact X is the world’s first smartphone for hazardous areas. 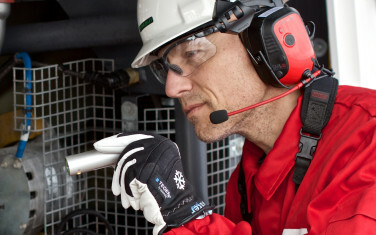 Combined with the Orbit X HD helmet camera, it allows users to work safer, smarter and more effectively. By combining user-centred design that’s future-oriented with business and technology know-how, we can help streamline your operations, see that you remain globally competitive, and ensure that you continue to stay relevant for years to come. Key benefits include increased safety, security, sustainability and cost efficiency. 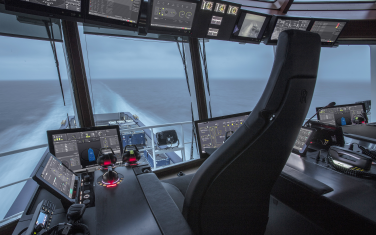 Icon DP (Dynamic Positioning) is the first of several software applications from Rolls-Royce Marine featuring the new, holistic Unified Bridge design. EGGS is proud to be part of Norway’s great seafaring heritage - helping the Norwegian ocean industries strengthen their global reputation for pioneering digital and physical tools. There are three key success factors when developing systems for professional users within the ocean tech sector: being user-centred, co-creating from complexity to simplicity and ensuring product branding and reliability.